FBI clearance certificate can be applied using 3 different options. FBI Police clearance certificate is same as FBI clearance Certificate. We list them according to cost and time required. FBI calls it Identity History Summary Checks. All 10 fingerprints are required for running a background check and receiving FBI Clearance Certificate. The FBI Police clearance certificate processing time with online application is 3 to 5 Days. 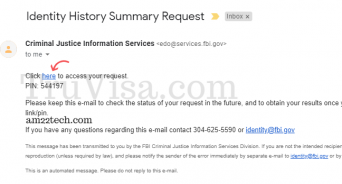 FBI Police clearance certificate online request. Open the link in Mozilla or Internet Explorer. Chrome and Safari do not work. I am not sure why but, the FBI website link throws invalid_request error in Chrome browser and website does NOT open. Follow the steps under the section Obtaining Your Identity History Summary->How to submit a request. Once you submit, you will receive an email from FBI with your log in password and unique FBI page link. Click this unique link and fill the FBI application form. Enter your PIN (from email) and click Log in. ‘Accept’ the terms and conditions. You have option to receive a response by First-Class Mail via the USPS too. FBI Police clearance fees is $18. Pay FBI fees online by credit card. No extra fees for postal mail response. At this time, the STATUS on FBI website will show as ‘INSUFFICIENT’ for your case as FBI is waiting for your fingerprints. Print FD-258 form on a plain A4 size white paper. This form needs to be filled with BLACK ink including fingerprints.You can pretty much take the fingerprints yourself if you are outside USA like in India or any other country. I strongly recommend to get the fingerprints from your local Police station if you are currently in USA. Fedex and other local postal mail vendors in USA also provide fingerprinting services for a price starting from $25+ per person. I tried for me and my wife as it seemed pretty easy using this official FBI fingerprint guide. But the ink was just messing up the fine finger lines and merging them. If the fingerprints are not good, FBI will simply reject your application. Local police station in USA charges anywhere between $5 to $10 for each person’s fingerprints and they are EXPERTS. They provide the form FD-258 too. So, you do not need to print it yourself. Most of them will do it for free again, if the first prints are rejected by FBI. 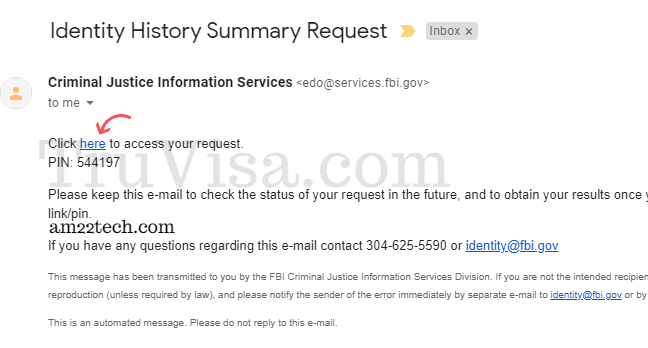 Print the order confirmation email that you would have received from FBI. Send the email confirmation and form FD-258 (with your fingerprints) to FBI CJIS division by postal mail. You can mail them to FBI from outside USA too. Once the mail is delivered to FBI, they usually take about 48 hours to update the tracking status on their website and inform you by email. FBI will then scan your fingerprints to complete your criminal record background check. They will make the certificate available on the website itself for downloading electronically.The whole process of FBI background check is automated and you can expect to receive the clearance certificate within minutes of their acknowledgment email (for your fingerprints). If you opted for postal mail FBI clearance certificate too, then it will arrive by USPS mail between 6-7 days. The paper hard copy and one available for download are exactly same. FBI police clearance request by postal mail processing time is 14 to 16 weeks. Download the FBI police verification application form from here. Print and fill up the form. Make a Cashier’s check or Money Order for $18 per person as fees, payable to “Treasury of the United States”. You can pay by credit card too. Print this payment form and fill your credit card info to send with your application. Get your fingerprints. Follow the same process as listed above for FINGERPRINTS. Send application, payment and fingerprints to FBI office via trackable postal mail. Address is mentioned above. Note: This is the SLOWEST method of getting police verification from FBI. 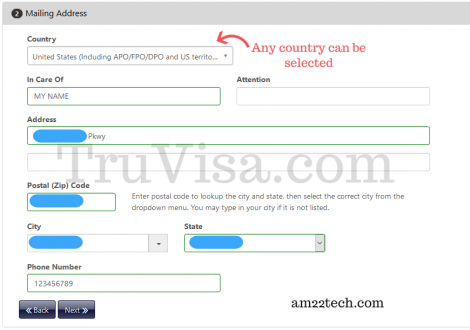 The ONLY difference between this method and the first option above is that you make the payment online in first method. The first one is lot faster than this one. So, I recommend using the first one any-day. FBI Police clearance processing time with third party provider is 3-4 days. This is the fastest and most expensive option. Choose one third party FBI vendors from this approved list here (List of FBI-Approved Channelers for Departmental Order Submissions — FBI). They take your fingerprints electronically and transmit them to FBI electronically too. 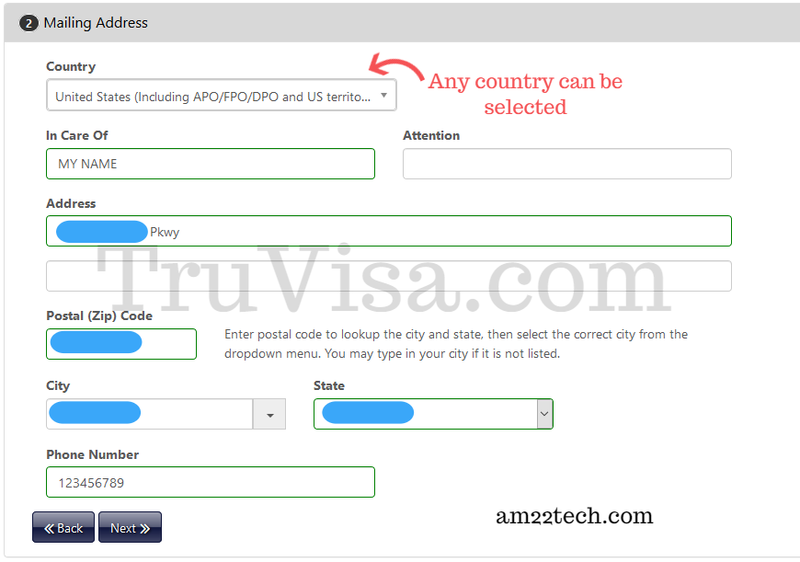 This makes the process the fastest among the 3 options.They are available outside USA too in a country like India. This is probably the fastest method to get FBI clearance certificate for Canada immigration or Australia PR if you are located outside USA. The fees varies with each vendor and normally starts from $200 per person. They collect the total fees from you, including the FBI’s $18 fees per person. FBI officially says that this third party service is ONLY available for USA citizens and Green card holders. But, I know from reliable sources who are neither US citizens nor green holder and have used it to get FBI clearance within 3-4 days. Check Sample FBI Police Clearance LetterSample FBI Clearance Certificate here. There is no expiry date mentioned on FBI certificate as such. Check Validity of FBI certificate for different countries. Will there be verification done by FBI Police at my home address? No, there is no physical police verification done by FBI at your place of residence. They use your fingerprints to find your details. If you have ever been arrested or fingerprinted by FBI, they will have your record. You would have been ten printed (meaning 10 fingerprints given) while applying for USA visa in your own country, at US embassy’s OFC center. I am not sure if FBI has access to the fingerprints that you gave at US embassy for Visa or if they verify that database. They have not disclosed it on their website. Multiple applications in same postal mail? Yes, you can send multiple cashier check, multiple fingerprint cards and multiple confirmation email copies in single postal mail. Can I use the same fingerprint card I used for my previous Identity History Summary? No. The FBI requires a current fingerprint card to process your Identity History Summary. Will my fingerprint card be returned after certificate is issued? No. Due to concerns related to the protection of personally identifiable information, fingerprint cards are no longer being returned either for a “no summary” response or with an Identity History Summary. Will the last four digits of my Social Security number be on my response? If the last four digits of your Social Security number are needed on your response letter, then please ensure the full nine-digits or last four digits of your Social Security number are on the fingerprint card when submitting your request. Change address after I submitted my request for Police verification or if I want to verify my correct address was submitted? Please complete and sign the Address Change Request Form and fax it to (304) 625-9792, or scan the form and e-mail it to identity@fbi.gov. If you submitted your request electronically (Option 1 above), you may change your address either by using the secure link and personal identification number received during the request process or by e-mail. Do I need to send a self-addressed stamped RETURN envelope with my request? No, you are NOT required to send any ‘return shipping’ envelope. FBI takes care of return shipping and mailing. Hi anil, I’m about to do FBI for australian pr. I want to do it by myself getting fingerprint Do I still need to get it signed by authorised person. As, I am not taking any help. No need for getting anybody’s sign if you are doing it yourself.